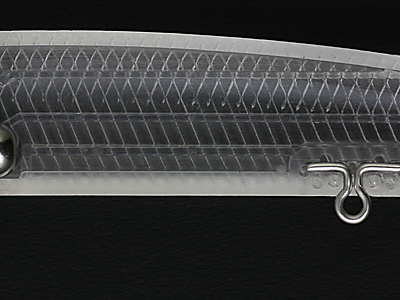 A seabass lure’s castability does not only give a great advantage to the angler, but is also an important factor for keeping up his motivation. 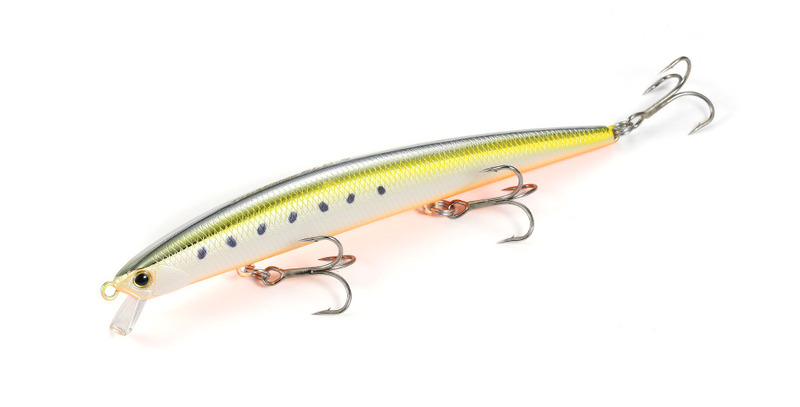 The Tide-Minnow SLD series was developed as a slim-type, long distance model, with castability as the top priority. It is a basic model that can be used in a wide range of locales (surf, estuaries, off the rocks, etc). It features a ‘wobble and roll’ action with a pleasant feel. It is able to catch the small-scale flows in the current, even when retrieved slowly. With its great castability, it is the perfect entry model. 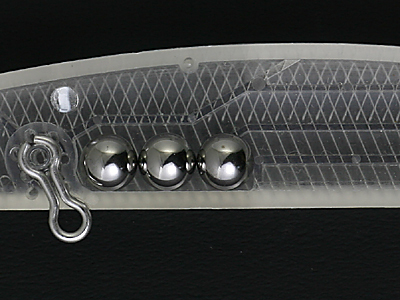 Three slightly smaller tungsten balls are used for the moving weight system, allowing for greater range of motion as well as a lower center of gravity.